Alright, you asked for it! If you have any unanswered questions about our terms of service, procedures, policies or content release terms, it is more than likely that the answers you seek are listed somewhere below. We advise you to contact us directly if you have any queries and we can cut to the chase and talk about what matters to you. If on the other hand you are brave, have a lot of spare time to kill, and possess an insatiable appetite for reading small-print, then the next 10,000 words may just knock your socks off! 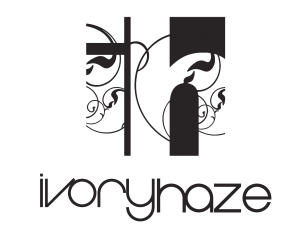 2.1.This Website is owned and operated by Ivory Haze (‘we’/’us’/’our’), a limited company registered in England and Wales under company number: 07672455 having our registered office at 145-157 St John’s Street London EC1V 4PW United Kingdom. 3.1.You agree that email and other electronic communications can be used as a long-distance means of communication and acknowledge that all contracts, notices, information and other communications that we provide to you electronically comply with any legal requirement that such communications be in writing. 3.2.We will contact you by email or provide you with information by posting notices on our Website. 4.1.Our Website is only intended for use by customers resident in England, Wales, Scotland and Northern Ireland (the United Kingdom). 4.2.We may, in our sole discretion, accept orders for goods from individuals located outside the United Kingdom and ship them overseas. We may also agree to provide our services if you are resident in the European Economic Area (EEA), subject to reserving a right to amend the specifications or standards of the services offered on the Website and/or these Conditions or to refuse to accept an order for our services from you, if it will put an excessive strain on our business or if we have an objective reason for doing so. If we accept your order, you will be liable to pay for all and any additional costs that we incur in order to facilitate your order, such as (without limitation) extra shipping or postage costs. You will have an opportunity to cancel your order in case the additional costs are not acceptable. 4.3.If we agree to supply any products ordered from the Website for delivery outside the United Kingdom they may be subject to import duties and/or additional taxes or expenses incurred due to complying with foreign regulatory requirements or laws. You will be responsible for payment of any such duties and/or taxes in addition to our price including the cost of delivery (in the case of goods). Please note that we have no control over these charges and cannot predict their amount. Please contact your local customs office or taxation authority for further information before placing your order. 4.4.Please note that when shipping products internationally, you should be aware that cross-border shipments are subject to opening and inspection by customs authorities. 4.5.You must comply with all applicable laws and regulations of the country for which the products are destined. We will not be liable for any breach by you of any such laws. 6.1.1.Be 18 years of age or over 6.1.2.Be legally capable of entering into a binding contract 6.1.3.Provide full details of an address in the United Kingdom or the European Economic Area (if you reside in the EEA) for the performance or delivery of the Products 6.2.If you are under 18, you may only use the Website in conjunction with, and under the supervision of, a parent or guardian. If you do not qualify, you must not use our Website. 7.1.The prices of the Products are quoted on the Website. 7.2.Prices quoted for delivery (in the case of goods) and for performance (in the case of services) are for the United Kingdom unless otherwise specified. 7.3.Unless otherwise stated, the prices quoted exclude VAT (we are not VAT registered) and delivery costs (in the case of goods). The delivery costs will be added to the total amount due from you at their current rate. Details of our delivery charges can be located on our Website. 7.4.We reserve the right, by giving notice to you at any time before delivery or performance of our obligations to you, to increase the price of the Products to reflect any increase in the cost to us due to any factor beyond our control (such as without limitation, any foreign exchange fluctuation, significant increase in the costs of labour, materials or other costs of manufacture). In the unlikely event of this occurring, you shall be entitled to cancel the order at any time before delivery of the goods and/or we have commenced providing the services. 8.6.1.Undertake that all the details you provide to us for the purpose of purchasing the Products are correct and that the payment card you are using is your own and that there are sufficient funds to cover the cost of the Products ordered 8.6.2.Undertake that any and all Products ordered by you are for your own private or domestic use only and not for resale 8.6.3.Authorise us to transmit the payment and delivery information provided by you during the order process (included any updated information) for the purpose of obtaining authorisation from your card issuer to ensure you have adequate funds, to authenticate your identity, to validate your payment card and for other security reasons, such as fraud prevention 8.7.We shall contact you should any problems occur with the authorisation of your card. 8.8.We will take all reasonable care, in so far as it is in our power to do so, to keep the details of your order and payment secure, but in the absence of negligence on our part, we cannot be held liable for any loss you may suffer if a third party procures unauthorised access to any data you provide when accessing or ordering from our Website. 10.1.The Products will be delivered to you at the address you provided during the order process which may be an address other than the billing address, but please note that extra documentation may be needed to comply with such orders. We may where appropriate and at our option, deliver all or part of the services, to the email address you supplied on registration or such other email address that we agree to use to communicate with you. 10.2.We employ professional carriers. Nevertheless, you must examine the goods on arrival. If you are asked for your signature on delivery, you must examine the goods before signing for it. 10.3.Any dates quoted for delivering the goods and/or completing performance of the service are approximate only. If no date is specified then it will take place within 30 days or a reasonable time of the date of the Confirmation Notice, unless there are exceptional circumstances. 10.4.We shall not be liable for any delay in delivering the goods and/or completing performance of the service, however caused. 10.5.The Products may be sent to you in instalments. 10.6.For Christmas deliveries, we recommend that you check our Website for the last date of delivery. We will endeavour to dispatch all goods that are in stock within 24 hours. However, we cannot guarantee delivery by 24th December. 11.1.The goods will be at your risk from the time of delivery. 11.2.Ownership of the goods will only pass to you when we receive full payment of all sums due in respect of them including the cost of delivery (in the case of goods). 12.1.1.You may cancel your order for the Products at any time prior to receiving a Confirmation Notice from us so long as you contact us in writing. You can send us a cancellation notice by sending an email to [email protected] Your cancellation notice must quote your name, address, the name or a description of the goods and services and your order reference number. 12.2.Cancellation after receiving a Confirmation Notice. Goods 12.2.1.You are entitled to cancel your Contract at any time prior to receiving the goods so long as you provide us with written notice or, if you have received the goods, so long as you provide us with written notice at anytime within 7 working days starting from the day after you received the goods. You can send your cancellation notice by email to [email protected] Your cancellation notice must quote your name, address, the name or a description of the goods and your order reference number. 12.2.2.Upon receiving your cancellation notice, we will contact you and provide details of where you must return the goods and other relevant instructions. You must then immediately return the goods to us at your own cost and risk. We reserve the right, at our option, to collect the goods from you. If we wish to collect the goods we will notify you of when they will be collected by us. We will charge you for the cost of collecting the goods and will deduct this from any sum owed by us to you. 12.2.3.The goods must be returned to us in the same condition in which you received them until such time as the goods are either collected by us or delivered back to us by you. You must return the goods with its original packaging and the original invoice. You have a legal obligation to take reasonable care of the goods whilst they are in your possession. If you fail to comply with this obligation, we may have a right of action against you for compensation. Services (not including ongoing services) 12.2.4.You are entitled to cancel your Contract and obtain a refund within 7 working days from the date of the Confirmation Notice. This also applies, where appropriate and subject to clause 12.4., to items that are available to be downloaded. However, you will no longer have a right to cancel if, with your agreement, we have already commenced providing the services to you before this period of time expires. We shall be deemed to have already commenced providing the services, in circumstances where you have already downloaded products or materials that we made available to you, from the Website. 12.2.5.You may notify us of your wish to cancel by sending us a cancellation notice to [email protected] Your cancellation notice must quote your name, address, the name or a description of the goods and services and your order reference number. 12.2.6.Upon receiving your cancellation notice, we will contact you providing any necessary instructions which you will be required to follow. 12.2.7.So long as you have complied with your obligations under this clause, we will refund the purchase price but not the cost of delivery (if any) to you by debiting the payment card you used to purchase the Products. 12.3.Cancelling ongoing services. 12.5.1.We will offer you a refund of the full purchase price, including the cost of delivery for sending the goods to you, and the cost incurred by you in returning the goods to us, if it: 12.5.1.1.Has been damaged on delivery 12.5.1.2.Is in a faulty condition 12.5.1.3.Has been delivered to you in error 12.5.2.provided that you return the goods to us and we are reasonably satisfied that the goods have not suffered damage after delivery or have not been misused or used other than in accordance with the instructions or the problem is not due to normal wear and tear. 12.5.3.Alternatively, at your option, instead of a refund (and subject to returning the goods as required under this clause) we will replace the goods with the same or a similar product (subject to stock availability). 12.5.4.Sometimes the product specifications from the manufacturer may change, in which case, if you request a replacement, we will do our best to offer you a substitute of the same or better quality at the same price. If you are not happy with the replacement, you can return the goods to us. 12.5.5.In order to claim a refund or replacement item please send us a cancellation notice as soon as you become aware of a problem and no later than 20 working days after receipt or the fault developing by email to [email protected] Your cancellation notice must quote your name, address, the name or a description of the goods, a brief description of the problem, fault or damage and your order reference number. 12.5.6.Upon receiving your cancellation notice, we will contact you and provide details of where you must return the goods and other relevant instructions. You must then immediately return the goods to us. We reserve the right, at our option, to collect the goods from you. If we wish to collect the goods we will notify you of when they will be collected by us. 12.6.1.Whilst we try and ensure that all the information on our Website is accurate, errors may occur. In the unlikely event that the price and/or description of an item listed on the Website has been incorrectly advertised, we will not be under any obligation to sell or provide those goods and services to you. 12.6.2.If we discover the error before sending you a Confirmation Notice we will at our discretion, either reject your order and notify you of such rejection, or inform you as soon as possible and give you the option of cancelling your order or reconfirming it at the correct price and/or description. If we give you the option of cancelling your order or reconfirming it at the correct price and/or description but either cannot contact you or do not receive your response within 14 days of sending you notification (whether or not you receive it), we will reject your order. 12.6.3.If we discover the error after sending you a Confirmation Notice we may, at our discretion and without incurring any liability to you, cancel the Contract provided that the error is, in our reasonable opinion, obvious and unmistakable and could have reasonably been recognised by you. We will notify if we cancel the Contract. 12.6.4.If your order is cancelled or rejected and you have already paid for the Products, you will receive a full refund in accordance with clause 12.8. 12.7.1.The Products may be sent to you in instalments. You may cancel the outstanding part of your order and receive a refund, if you have already paid, of the purchase price of the outstanding Products in accordance with clause 12.8. Goods 12.8.1.We will examine any returned goods and will notify you about your refund or replacement item via email within a reasonable period of time. We will usually process a refund or delivery of a replacement item as soon as possible and, in any case, within 30 days of the day we confirmed to you via e-mail that you are entitled to it. Refunds will be made by crediting the payment card or electronic payment account you used to purchase the goods. 12.8.2.We reserve the right to refuse to issue a refund or replacement and to recover the cost of returning or collecting the goods in the event that the goods are found to have suffered damage after delivery or have been misused or used other than in accordance with the instructions or if the problem is due to normal wear and tear or if the goods have not been returned with its original packaging. This does not affect your statutory rights. Services 12.8.3.We will notify you about your refund via email within a reasonable period of time. We will usually process a refund as soon as possible and, in any case, within 30 days of the day we confirmed to you via e-mail that you are entitled to a refund. Refunds will be made by crediting the payment card or electronic payment account you used to purchase the services. 14.1.The content of the Website is protected by copyright (including design copyrights), trade marks, patent, database and other intellectual property rights and similar proprietary rights which include, (without limitation), all rights in materials, works, techniques, computer programs, source codes, data, technical information, trading business brand names, goodwill, service marks utility models, semi-conductor topography rights, the style or presentation of the goods or services, creations, inventions or improvements upon or additions to an invention, confidential information, know-how and any research effort relating to Ivory Haze moral rights and any similar rights in any country (whether registered or unregistered and including applications for and the right to apply for them in any part of the world) and you acknowledge that the intellectual property rights in the material and content supplied as part of the Website shall remain with us or our licensors. 14.2.You may download or copy the content and other downloadable items displayed on the Website subject to the condition that the material may only be used for personal non-commercial purposes. Copying or storing the contents of the Website for other than personal use is expressly prohibited. 14.3.You may retrieve and display the content of the Website on a computer screen, store such content in electronic form on disk (but not any server or other storage device connected to a network) or print one copy of such content for your own personal, non-commercial use, provided you keep intact all and any copyright and proprietary notices. You may not otherwise reproduce, modify, copy or distribute or use for commercial purposes any of the materials or content on the Website. 14.4.You acknowledge that any other use of the material and content of this Website is strictly prohibited and you agree not to (and agree not to assist or facilitate any third party to) copy, reproduce, transmit, publish, display, distribute, commercially exploit or create derivative works from such material and content. 14.5.No licence is granted to you in these Conditions to use any of our trade marks or those of our affiliated companies. 14.6.Products sold by us and Website content may be subject to copyright, trade mark or other intellectual property rights in favour of third parties. We acknowledge those rights. 16.2.The Website is provided on an ‘as is’ and ‘as available’ basis without any representation or endorsement made and we make no warranties or guarantees, whether express or implied, statutory or otherwise (unless otherwise expressly stated in these Conditions or required by law) in relation to the information, materials, content or services found or offered on the Website for any particular purpose or any transaction that may be conducted on or through the Website including but not limited to, implied warranties of non-infringement, compatibility, timeliness, performance, security, accuracy, condition or completeness, or any implied warranty arising from course of dealing or usage or trade custom. 16.3.We will not be liable if the Website is unavailable at any time. 16.4.We make no representation or warranty of any kind express or implied statutory or otherwise regarding the availability of the Website or that it will be timely or error-free, that defects will be corrected, or that the Website or the server that makes it available are free of viruses or bugs. 16.5.We will not be responsible or liable to you for any loss of content or material uploaded or transmitted through the Website and we accept no liability of any kind for any loss or damage resulting from action taken in reliance on material or information contained on the Website. 16.6.We cannot guarantee and cannot be responsible for the security or privacy of the Website and any information provided by you. You must bear the risk associated with the use of the internet. In particular, we will not be liable for any damage or loss caused by a distributed denial-of-service attack, any viruses trojans, worms, logic bombs, keystroke loggers, spyware, adware or other material which is malicious or technologically harmful that may infect your computer, peripheral computer equipment, computer programs, data or other proprietary material as a result of your use of the Website or you downloading any material posted or sold on the Website or from any website linked to it. 16.7.We will use all reasonable endeavours to carry out our obligations within a reasonable period of time but will not be liable to you for any loss, costs or expenses arising directly or indirectly from any delays in doing so. 16.8.We will not be liable, in contract or tort (including, without limitation, negligence), or in respect of pre-contract or other representations (other than fraudulent misrepresentations) or otherwise for: 16.8.1. any economic losses (including without limitation loss of revenues, profits, contracts, business or anticipated savings and any other consequential loss); or 16.8.2.any loss of goodwill or reputation; or 16.8.3.any special or indirect losses; or 16.8.4.any loss of data; or 16.8.5.wasted management or office time; or 16.8.6. any other loss or damage of any kind suffered or incurred arising out of or in connection with the provision of any matter under these Conditions and/or the Contract and/or the use of this Website or any aspect related to your purchase of the Products even if such losses are foreseeable or result from a deliberate breach of these Conditions by us that would entitle you to terminate the Contract between us or as a result of any action we have taken in response to your breach of these Conditions. Without prejudice to the terms of this clause and in the event that we are unable to rely upon it, our liability for all and any losses you suffer as a result of us breaking the Contract, whether or not deliberate, including those listed in clauses 16.8.1. to 16.8.6., is strictly limited to the purchase price of the Products you purchased. 16.9.You agree to fully indemnify, defend and hold us, and our officers, directors, employees and suppliers, harmless immediately on demand, from and against all claims, including but not limited to losses (including loss of profit, revenue, goodwill or reputation), costs and expenses, including reasonable administrative and legal costs, arising out of any breach of these Conditions by you, or any other liabilities arising out of your use of this Website or any other person accessing the Website using your personal information with your authority. 16.10.This clause does not affect your statutory rights as a consumer, nor does it affect your contractual cancellation rights. 17.2.1.Comply with applicable law in the UK and the law in any country from which they are posted 17.2.2.Be factually accurate 17.2.3.Contain genuinely held opinions (where applicable) 17.2.4.Not contain any material which is either defamatory, threatening, obscene, abusive, offensive, hateful, inflammatory or is likely to harass, upset, annoy, alarm, embarrass or invade the privacy of, any person or be deceiving 17.2.5.Not promote or advocate an unlawful act or activity, discrimination, sexually explicit material or violence 17.2.6.Not infringe any trademark, copyright (including design rights), database right, or other intellectual property rights of any other person or breach of any legal duty you owe to a third party 17.2.7.Not be used to impersonate any person, or to misrepresent your identity 17.3.You agree to indemnify and hold us harmless against any claim or action brought by third parties, arising out of or in connection with any review, feedback or rating posted by you on the Website, including, without limitation, the violation of their privacy, defamatory statements or infringement of intellectual property rights. 17.4.You grant us and our affiliate companies a non-exclusive, royalty-free worldwide license to use or edit any reviews posted by you. 17.5.We reserve the right to publish, edit or remove any reviews without notifying you. 18.1.1.Strikes, lock-outs or other industrial action 18.1.2.Shortages of labour, fuel, power, raw materials 18.1.3.Late, defective performance or non-performance by suppliers 18.1.4.Private or public telecommunication, computer network failures or breakdown of equipment 18.1.5.Civil commotion, riot, invasion, terrorist attack or threat of terrorist attack, war (whether declared or not) or threat or preparation for war. 18.1.6.Fire, explosion, storm, flood, earthquake, subsidence, epidemic or other natural disaster or extreme weather conditions. 18.1.7.Impossibility of the use of railways, shipping, aircraft, motor transport or other means of public or private transport. 18.1.8.Acts, decrees, legislation, regulations or restrictions of any government 18.1.9.Other causes, beyond our reasonable control 18.2.Our performance will be deemed to be suspended for the period that the event of Force Majeure continues, and we will have an extension of time for performance for the duration of that period. We will use our reasonable endeavours to minimise any delay caused by Force Majeure or to find a solution by which our obligations may be performed despite the Force Majeure event. We shall promptly notify you of any Force Majeure event giving details of it and (where possible) the extent and likely duration of any delay. 18.3.Where the period of non-performance or delay in relation to any event of Force Majeure exceeds 30 days from the date of notice to you of the event of Force Majeure, either you or us may, by written notice to the other, terminate the Contract with immediate effect upon service. 22.2.1.To the Website’s homepage 22.2.2.Established from a website or document that is owned by you and does not contain content that is offensive, controversial, infringes any intellectual property rights or other rights of any other person or does not comply in any way with the law in the UK and the law in any country from which they are hosted 22.2.3.Provided in such a way that is fair and legal and does not damage our reputation or take advantage of it 22.2.4.Established in such a way that does not suggest any form of association, approval or endorsement on our part where none exists 22.3.We have no obligation to inform you if the address of the Website home page changes and it is your responsibility to ensure that any link you provide to our homepage is at all times accurate. 22.4.We reserve the right to withdraw our consent without notice and without providing any reasons for withdrawal. Upon receiving such notice you must immediately remove the link and inform us once this has been done. 23.1.All notices given by you to us must be given to us by using [email protected] We may give notice as described in clause 3. 23.2.Notice will be deemed received and properly served immediately when posted on our Website, 24 hours after an email is sent, or three days after the date of posting of any letter. In proving the service of any notice, it will be sufficient to prove, in the case of a letter, that such letter was properly addressed, stamped and placed in the post and, in the case of an email, that such email was sent to the specified email address of the addressee. 24.1.The Contract represents the entire agreement between us in relation to the subject matter of the Contract and supersede any prior agreement, understanding or arrangement between us, whether oral or in writing. 24.2.We each acknowledge that, in entering into a Contract, neither of us has relied on any express or implied representation, undertaking or promise given by the other from anything said or written in any negotiations between us prior to such Contract except as has been expressly incorporated in such Contract. 24.3.Neither of us shall have any remedy in respect of any untrue statement made by the other, whether orally or in writing, prior to the date of any Contract (unless such untrue statement was made fraudulently) and the other party’s only remedy shall be for breach of contract as provided in these Conditions. 25.1.We reserve the right to change the domain address of this Website and any services, products, product prices, product specifications and availability at any time. 25.2.All prices and descriptions supersede all previous publications. All product descriptions are approximate. 25.3.Every effort is made to keep information regarding stock availability on the Website up to date. However, we do not guarantee that this is the case, or that stock will always be available. 25.4.If any provision of these terms and conditions is held by any competent authority to be invalid or unenforceable in whole or in part, the validity of the other provisions of the Contract and the remainder of the provision in question will not be affected. 25.5.All Contracts are concluded and available in English only. 25.6.If we fail, at any time during the term of a Contract, to insist upon strict performance of any of your obligations under it or any of these terms and conditions, or if we fail to exercise any of the rights or remedies to which we are entitled under the Contract, this shall not constitute a waiver of such rights or remedies and shall not relieve you from compliance with your obligations. 25.7.A waiver by us of any default shall not constitute a waiver of any subsequent default. 25.8.No waiver by us of any of these Conditions or of any other term of a Contract shall be effective unless it is expressly stated to be a waiver and is communicated to you in writing in accordance with clause 3. 25.9.Any Contract between you and us is binding on you and us and on our respective successors and assigns. You may not transfer, assign, charge or otherwise dispose of the Contract, or any of your rights or obligations arising under it, without our prior written consent. We may transfer, assign, charge, sub-contract or otherwise dispose of a Contract, or any of our rights or obligations arising under it, at any time during the term of the Contract. 26.1.The Website is controlled and operated in the United Kingdom. 26.2.Every purchase you make shall be deemed performed in England and Wales. 26.3.The Conditions and any Contract brought into being as a result of usage of this Website will be governed by the laws of England and Wales and you irrevocably agree to submit to the exclusive jurisdiction of the courts of England and Wales. 1.1.You will be able to access parts of the Website without having to register any details with us. However, from time to time certain areas of this Website may be accessible only if you are a registered user. 1.2.You are responsible for making all arrangements necessary for you to have access to our Website. You are also responsible for ensuring that all persons who access our Website through your internet connection are aware of these terms, and that they comply with them. 1.3.We make reasonable efforts to ensure that this Website is available to view and use 24 hours a day throughout each year however, this is not guaranteed. The Website may be temporarily unavailable at anytime because of: server or systems failure or other technical issues; reasons that are beyond our control; required updating, maintenance or repair 1.4.Where possible we will try to give you advance warning of maintenance issues but shall not be obliged to do so. 2.2.1.That all the details you provide to us for the purpose of registering on the Website are true, accurate, current and complete in all respects 2.2.2.You will notify us immediately of any changes to the information provided on registration 2.2.3.You are over 18 or if under 18 you have a parent or guardian’s permission to register with the Website in conjunction with and under their supervision 2.2.4.To only use the Website using your own username and password 2.2.5.To make every effort to keep your password safe 2.2.6.Not to disclose your password to anyone 2.2.7.To change your password immediately upon discovering that it has been compromised 2.2.8.To neither transfer or sell your username or password to anyone, nor permit, either directly or indirectly, anyone other than you to use them 2.3.You authorise us to transmit your name, address and other personal information supplied by you (included updated information) to obtain information from third parties about you, including, but not limited to, credit reports and so that we may authenticate your identity. 3.1.1.Be 18 years of age or over 3.1.2.Be legally capable of entering into a binding contract 3.1.3.Provide full details of an address in the United Kingdom or the European Economic Area (if you reside in the EEA) for the performance or delivery of the Products 3.2.If you are under 18, you may only use the Website in conjunction with, and under the supervision of, a parent or guardian. If you do not qualify, you must not use our Website. 4.1.The content of the Website is protected by copyright (including design copyrights), trade marks, patent, database and other intellectual property rights and similar proprietary rights which include, (without limitation), all rights in materials, works, techniques, computer programs, source codes, data, technical information, trading business brand names, goodwill, service marks utility models, semi-conductor topography rights, the style or presentation of the goods or services, creations, inventions or improvements upon or additions to an invention, confidential information, know-how and any research effort relating to Ivory Haze moral rights and any similar rights in any country (whether registered or unregistered and including applications for and the right to apply for them in any part of the world). 4.2.You acknowledge that the intellectual property rights in the material and content supplied as part of the Website shall remain with us or our licensors. 4.3.You may download or copy the content and other downloadable items displayed on the Website subject to the condition that the material may only be used for personal non-commercial purposes. Copying or storing the contents of the Website for other than personal use is expressly prohibited. 4.4.You may retrieve and display the content of the Website on a computer screen, store such content in electronic form on disk (but not any server or other storage device connected to a network) or print one copy of such content for your own personal, non-commercial use, provided you keep intact all and any copyright and proprietary notices. 4.5.You may not otherwise reproduce, modify, copy or distribute or use for commercial purposes any of the materials or content on the Website. 4.6.You acknowledge that any other use of the material and content of this Website is strictly prohibited and you agree not to (and agree not to assist or facilitate any third party to) copy, reproduce, transmit, publish, display, distribute, commercially exploit or create derivative works from such material and content. 4.7.No licence is granted to you to use any of our trade marks or those of our affiliated companies. 5.1.It shall be your responsibility to ensure that any products, services or information available through the Website meet your specific requirements. 5.2.We will not be liable to you if the Website is unavailable at any time. 5.3.We attempt to ensure that the information available on the Website at any time is accurate. However, we do not guarantee the accuracy or completeness of material on this Website. We use all reasonable endeavours to correct errors and omissions as quickly as practicable after becoming aware or being notified of them. We make no commitment to ensure that such material is correct or up to date. 5.4.All drawings, images, descriptive matter and specifications on the Website are for the sole purpose of giving an approximate description for your general information only and should be used only as a guide. 5.5.Any prices and offers are only valid at the time they are published on the Website. 5.6.All prices and descriptions supersede all previous publications. 5.7.Every effort is made to keep information regarding stock availability on the Website up to date. However, we do not guarantee that this is the case, or that stock will always be available. 5.8.The Website is provided on an ‘as is’ and ‘as available’ basis without any representation or endorsement made and we make no warranties or guarantees, whether express or implied, statutory or otherwise (unless otherwise expressly stated in these terms and conditions or required by law) in relation to the information, materials, content or services found or offered on the Website for any particular purpose or any transaction that may be conducted on or through the Website including but not limited to, implied warranties of non-infringement, compatibility, timeliness, performance, security, accuracy, condition or completeness, or any implied warranty arising from course of dealing or usage or trade custom. 5.9.We make no representation or warranty of any kind express or implied statutory or otherwise regarding the availability of the Website or that it will be timely or error-free, that defects will be corrected, or that the Website or the server that makes it available are free of viruses or bugs. 5.10.We will not be responsible or liable to you for any loss of content or material uploaded or transmitted through the Website and we accept no liability of any kind for any loss or damage from action taken in reliance on material or information contained on the Website. 5.11.We cannot guarantee and cannot be responsible for the security or privacy of the Website and any information provided by you. 5.12.You must bear the risk associated with the use of the internet. In particular, we will not be liable for any damage or loss caused by a distributed denial-of-service attack, any viruses trojans, worms, logic bombs, keystroke loggers, spyware, adware or other material which is malicious or technologically harmful that may infect your computer, peripheral computer equipment, computer programs, data or other proprietary material as a result of your use of the Website or you downloading any material posted or sold on the Website or from any website linked to it. 5.13.We reserve the right to disclose such information to law enforcement authorities as we reasonably feel is necessary should you breach this agreement. 6.1.You are permitted to use the Website and the material contained in it only as expressly authorised by us and in accordance with these terms and conditions, as may be amended from time to time without notice to you. 6.2.We provide access and use of the Website on the basis that we exclude all representations, warranties and conditions to the maximum extent permitted by law. 6.3.We reserve the right to: 6.3.1.Make changes to the information or materials on this Website at any time and without notice to you. 6.3.2.Temporarily or permanently change, suspend or discontinue any aspect of the Website, including the availability of any features, information, database or content or restrict access to parts of or the entire Website without notice or liability to you or any third party. 6.3.3.Refuse to post material on the Website or to remove material already posted on the Website 6.4.You may not use the Website for any of the following purposes: 6.4.1.Disseminating any unlawful, harassing, libellous, abusive, threatening, harmful, vulgar, obscene, or otherwise objectionable material 6.4.2.Transmitting material that encourages conduct that constitutes a criminal offence, results in civil liability or otherwise 6.4.3.Breaching any applicable local, national or international laws, regulations or code of practice 6.4.4.Gaining unauthorised access to other computer systems 6.4.5.Interfering with any other person’s use or enjoyment of the Website 6.4.6.Breaching any laws concerning the use of public telecommunications networks 6.4.7.Interfering with, disrupting or damaging networks or websites connected to the Website 6.4.8.Utilisation of data mining, robots or similar data gathering and extraction tools to extract (whether once or many times) for re-utilisation of any substantial parts of the Website 6.4.9.To transmit, or procure the sending of, any unsolicited or unauthorised advertising or promotional material or any other form of similar solicitation 6.4.10.To create and/or publish your own database that features all or substantial parts of the Website 6.4.11.Making, transmitting or storing electronic copies of materials protected by copyright without the prior permission of the owner 6.5.In addition, you must not: 6.5.1.Knowingly introduce viruses, trojans, worms, logic bombs, keystroke loggers, spyware, adware or other material which is malicious or technologically harmful to the Website 6.5.2.Attempt to gain unauthorised access to the Website, the server on which the Website is stored or any server, computer or database connected to it 6.5.3.Attack the Website via a denial-of-service attack or a distributed denial-of service attack 6.5.4.Damage or disrupt any part of the Website, any equipment or network on which the Website is stored or any software used for the provision of the Website 6.6.A breach of this clause may be a criminal offence under the Computer Misuse Act 1990. We may report any such breach to the relevant law enforcement authorities and disclose your identity to them. In the event of such a breach, your right to use the Website will cease immediately. 8.1.You acknowledge that any review, feedback or rating which you leave may be published by us on the Website and you agree that it may be displayed for as long as we consider appropriate and that the content may be syndicated to our other websites, publications or marketing materials. 8.2.You undertake that any review, feedback or rating that you write shall: 8.2.1.Comply with applicable law in the UK and the law in any country from which they are posted 8.2.2.Be factually accurate 8.2.3.Contain genuinely held opinions (where applicable) 8.2.4.Not contain any material which is either defamatory, threatening, obscene, abusive, offensive, hateful, inflammatory or is likely to harass, upset, annoy, alarm, embarrass or invade the privacy of, any person or be deceiving 8.2.5.Not promote or advocate an unlawful act or activity, discrimination, sexually explicit material or violence 8.2.6.Not infringe any trademark, copyright (including design rights), database right, or other intellectual property rights of any other person or breach any legal duty you owe to a third party 8.2.7.Not be used to impersonate any person, or to misrepresent your identity 8.3.You agree to indemnify and hold us harmless against any claim or action brought by third parties, arising out of or in connection with any review, feedback or rating posted by you on the Website, including, without limitation, the violation of their privacy, defamatory statements or infringement of intellectual property rights. 8.4.You grant us and our affiliate companies a non-exclusive, royalty-free worldwide license to use or edit any reviews posted by you. 8.5.We reserve the right to publish, edit or remove any reviews without notifying you. 9.1.You must not create a link to the Website from another website, document or any other source without first obtaining our prior written consent. 9.2.Any agreed link must be: 9.2.1.To the Website’s homepage 9.2.2.Established from a website or document that is owned by you and does not contain content that is offensive, controversial, infringes any intellectual property rights or other rights of any other person or does not comply in any way with the law in the UK and the law in any country from which they are hosted 9.2.3.Provided in such a way that is fair and legal and does not damage our reputation or take advantage of it 9.2.4.Established in such a way that does not suggest any form of association, approval or endorsement on our part where none exists 9.3.We have no obligation to inform you if the address of the Website home page changes and it is your responsibility to ensure that any link you provide to our homepage is at all times accurate. 9.4.We reserve the right to withdraw our consent without notice and without providing any reasons for withdrawal. Upon receiving such notice you must immediately remove the link and inform us once this has been done. 11.1.Notwithstanding any other provision in these terms and conditions, nothing will affect or limit your statutory rights; or will exclude or limit our liability for: 11.1.1.Death or personal injury resulting from our negligence 11.1.2.Fraud or fraudulent misrepresentation 11.1.3.Action pursuant to section 2(3) of the Consumer Protection Act 1987 11.1.4.Any matter for which it would be unlawful for us to exclude or attempt to exclude our liability 11.2.We will not be liable, in contract or tort (including, without limitation, negligence), or in respect of pre-contract or other representations (other than fraudulent or negligent misrepresentations) or otherwise for the below mentioned losses which you have suffered or incurred arising out of or in connection with the provision of any matter in these terms and conditions even if such losses are forseeable or result from a deliberate breach by us or as a result of any action we have taken in response to your breach: 11.2.1.Any economic losses (including without limitation loss of revenues, profits, contracts, business or anticipated savings) 11.2.2.Any loss of goodwill or reputation; or 11.2.3.Any special or indirect losses; or 11.2.4.Any loss of data 11.2.5.Wasted management or office time 11.2.6.Any other loss or damage of any kind 11.3. You agree to fully indemnify, defend and hold us, and our officers, directors, employees and suppliers, harmless immediately on demand, from and against all claims, including but not limited to losses (including loss of profit, revenue, goodwill or reputation), costs and expenses, including reasonable administrative and legal costs, arising out of any breach of these terms and conditions by you, or any other liabilities arising out of your use of this Website or any other person accessing the Website using your personal information with your authority. 11.4.This clause does not affect your statutory rights as a consumer. 12.1.We reserve the right to change the domain address of this Website and any services, products, product prices, product specifications and availability at any time. 12.2.If any provision of these terms and conditions is held by any competent authority to be invalid or unenforceable in whole or in part, the validity of the other provisions in these terms and conditions and the remainder of the provision in question will not be affected. 12.3.All Contracts are concluded and available in English only. 12.4.If we fail, at any time to insist upon strict performance of any of your obligations under these terms and conditions, or if we fail to exercise any of the rights or remedies to which we are entitled under these terms and conditions, it shall not constitute a waiver of such rights or remedies and shall not relieve you from compliance with your obligations. 12.5.A waiver by us of any default shall not constitute a waiver of any subsequent default. 12.6.No waiver by us of any of these terms and conditions shall be effective unless it is expressly stated to be a waiver and is communicated to you in writing. 13.1.The Website is controlled and operated in the United Kingdom. 13.2.These terms and conditions will be governed by the laws of England and Wales and you irrevocably agree to submit to the exclusive jurisdiction of the courts of England and Wales.